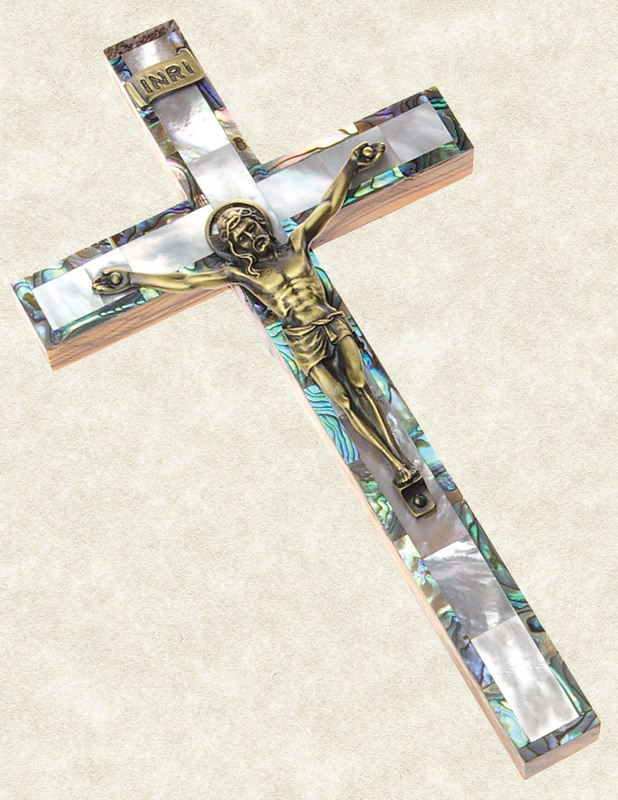 This beautiful wall cross is made from mother of pearl with an antiqued gold-tone corpus. It measures 4.5". It makes a perfect gift for Baptism, First Holy Communion, Marriage/Wedding, or any occasion.